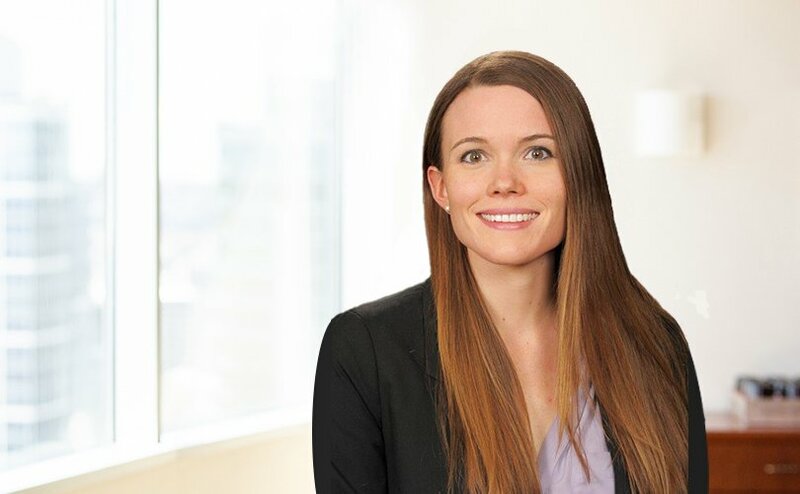 Helen Hapner is an associate in Ryan Swanson’s Litigation Group. Her practice focuses primarily on general commercial litigation. She has experience in areas including appellate, tort, antitrust, bankruptcy, securities, and employment litigation. She has represented client interests at all stages of the litigation process, including at motion hearings and trial. Helen’s work includes drafting motions, briefs, pleadings and settlement agreements in federal, state, and arbitration proceedings. While in law school, Helen served as Articles Editor of the University of Illinois Elder Law Journal, as a research assistant to the Co-Director for the Program in Law and Philosophy, and as a teaching assistant for Tort Law. Helen was also the recipient of several academic awards, including CALI Excellence for the Future Award in Negotiation Skills and Strategies, and honors distinctions in Legal Research, Legal Writing, and Oral Advocacy. Outside of work, Helen enjoys running, hiking, and travel.